ICYMI (In Case You Missed It), the following work was presented at the 2016 Annual Meeting of the American Political Science Association (APSA). The presentation, titled “The Indirect Effect of Income on Preferences for Centralization of Authority,” was a part of the session “Devolution, Fragmented Power, and Electoral Accountability” on Thursday September 1, 2016. One of the primary activities of any elected government is to decide how to allocate public funds for policies like health care and education. In countries that adopted a federal system – like the United States, Canada, Australia, Germany, and others – the central government usually has some policies that promotes distribution of fiscal resources among different jurisdictions, like among states or cities. Take Australia for example. The federal government collects taxes that are funneled to local governments in accordance with their needs. This diminishes the inequality between different Australian sub-national governments in their capacity to invest and provide public services. Brazil is another example. Brazil has a huge federal program that transfers resources from rich to poor states and whose goal is to reduce regional inequality. These federal governments can only continue to operate in this way, that is, promoting interregional redistribution, if the power to control fiscal resources is centralized. Therefore, there is a connection between interregional redistribution and centralization of authority. Now, voters have different preferences about how the government should spend the fiscal resources. They have different opinions, for instance, to which degree taxes collected in one region should be invested in another region. Do voters that support interregional redistribution also prefer that the fiscal authority is concentrated in the hands of the federal government as opposed to the sub-national ones? Which characteristics determine the preference of voters regarding interregional redistribution and centralization of authority? How those preferences are connected? This entry was posted in APSA, CLEA, Innovative Methodology, International on September 1, 2016 by Catherine Allen-West. Developed by Lauren Guggenheim in coordination with Janie Velencia. This is a post in a series about student involvement in research projects in the Center for Political Studies (CPS). Here, we profile Janie Velencia, whose work on the Constituency-Level Elections Archive (CLEA) helped influence her career path in political research. As an undergraduate student at the University of Michigan, Xhensila (Janie) Valencia was interested in participating in the University’s Undergraduate Student Research Opportunity Program (UROP). Through the program, she sought a research project that would allow her to build work experience. “I interviewed for several interesting projects, but CLEA fit best with my majors in political science and international studies and sounded the most promising in terms translating into work skills,” she says. She could not have guessed at the time how helpful CLEA would be in that regard. CLEA is a repository of detailed results from lower house elections from around the world. CLEA provides opportunities for students to be involved at all stages of the data collection process, providing valuable experience and training for them. Working on research projects can be an excellent way for students to explore whether they would like to further their career in research and academia. Many of CLEA’s alumni have gone on to attend graduate school and obtain research-oriented jobs. Janie remembers her most interesting work with CLEA data: “I’m originally from Albania and immigrated to Michigan with my family at the age of 5, so when I saw that there was a data file on Albania, I immediately volunteered for it” she says. Because she is fluent in Albanian, and is familiar with its political history, she found that file interesting and easier to work with than some of the others, specifically because she could recognize the names of parties in both English and Albanian without having to overcome some of the usual language barriers that sometimes arise when working with the data. She also found that focusing on the data from specific countries allowed her to learn interesting things about the political history and mood of a country. In particular, Poland stood out to her because they went from having few parties after the fall of communism to many parties, including the Beer Lover’s Party, whose platform was to promote cultural beer drinking in the country. Janie credits her work with CLEA for helping her land an internship in the U.S. Senate, and later a job at a company called Congressional Quarterly / Roll Call, a subsidiary of the Economist Group that provides congressional research and reporting to subscribers. She was told that it was specifically her work with CLEA that made her uniquely qualified for the researcher position right out of college. She had been working there for about a year and a half when an opportunity arose for a new position that would allow her not only to work with data, but also to broaden her experiences to interpret the data and write about her results. Currently, she works at Huffington Post as an editor for a team called HuffPost Pollster where she participates in tracking and aggregating political polls in the U.S., including all the races leading to the 2016 election. She writes articles based on poll results and contributes to a weekly polling newsletter. She believes her CLEA training also helped her attain this job. Janie sees many parallels between her current position and her work with CLEA. “I think it’s vital to provide free accessible information about elections and public opinion for both research purposes and the public good.” She has allowed the notion to carry her into her current job. “Being able to contribute in a way that makes information accessible to the public, is what I do now, and it is also one of the great things about CLEA,” she added. Being cited by news outlets for her research is both exciting for her and satisfying because it means that the public is directly benefiting from data she helped collect and analyze. This entry was posted in CLEA, Profile, Student Experiences on October 22, 2015 by David Howell. Voter fraud is an important problem, and it knows no geographical boundaries. In the last two months alone, allegations of voter fraud made the news. Some 1,000 citizens of Beit Shemish, Israel protested in demand of new elections amid evidence of foul play in an earlier vote. A Florida congressman’s former chief of staff was sentenced to prison for trying to rig an election. Similar stories also came out of Wisconsin, Texas, Michigan, Nebraska, Kansas, North Carolina, New York, Iowa, Egypt, Japan, and New Zealand, to name just a few from just the last few weeks. Voter fraud is an important problem. When ballot results are viewed as corrupted by some process, elections have the potential to be destabilizing, and in extreme cases, can trigger violence and political regime change. For example, the suspicions surrounding the results of the 2007 Kenyan presidential election triggered large-scale turmoil, leading to more than 1,000 deaths. Observations from international election monitoring in 170 countries indicate 61% of countries experience some degree of cheating, including election fraud, with 27% countries in the sample exhibiting major fraud problems. But how can we measure it? And how can we give election monitoring agencies the tools they need to pinpoint potential hotspots before an upcoming election? Researchers Walter Mebane and Kirill Kalinin at the University of Michigan have refined a set of tools that capture different aspects of potential election irregularities. Some of these methods are informed in part by techniques developed for detecting financial fraud: numbers changed by humans tend to have patterns that wouldn’t have occurred through the normal process of casting a ballot. Other methods derive from other mathematical regularities or feature simulations of what votes affected by fraud look like. Such methods have revealed fraud in recent elections in Russia, Iran, and Uganda. 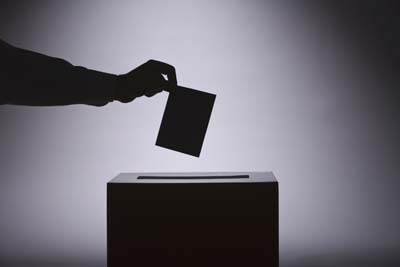 However, vast amounts of election returns are needed to conduct the data analysis, and many of the tests of election fraud have relied on precinct or polling station results, which can be difficult to get from governments, especially ones under suspicion of engaging in fraudulent behavior. Enter the Constituency-Level Elections Archive (CLEA). Three of the co-directors of CLEA (Ken Kollman, Allen Hicken, and David Backer) are teaming up with Mebane and Kalinin to provide high quality and detailed constituency-level election results. Together the researchers are testing whether tools developed for detecting fraud using precinct results will also work at a higher level of aggregation, namely the district-level. CLEA provides cleaned and uniformly formatted results for elections around the world. Preliminary results from recent elections in Russia, Uganda, and Mexico suggest that different fraud detection techniques accurately estimate the probability of suspicious behavior at the district-level. For instance, in Russia, serious irregularities were widely alleged by both election monitors and Russian voters. Mebane and Kalinin found significant and substantial evidence of fraud using a range of fraud detection techniques, thus corroborating the firsthand account of monitoring organizations and Russian voters. Next steps include applying these techniques to the remaining 1200+ elections in the archive with the end goal of providing baseline estimates of likely cases of fraud. Armed with this information, election monitoring organizations will have a sophisticated tool to complement their efforts at promoting free and fair elections. Over the short run, such results can assist monitors in focusing attention on problematic areas in specific countries, but in the long run, these detection techniques have the potential to deter those who wish to engage in election manipulation. This entry was posted in CLEA, Innovative Methodology, International, National on December 5, 2013 by David Howell. Developed by Katie Brown and Josue Gomez. This is the first post in a series about students working on research projects in the Center for Political Studies (CPS). Here, we profile Josue Gomez, whose work on the Constituency-Level Elections Archive (CLEA) helped influence his career path in political science. Josue Gomez was raised in a farming community in southern Idaho, the son of a Mexican-American farm worker. The current debate on immigration policy, especially the relationship between the U.S. and Mexico, piqued his interest in politics. He enrolled at Boise State University — the first in his family to attend college — and majored in political science. As part of the McNair Scholars program supporting under-represented students, Josue was required to complete a summer research program prior to graduating. Josue and his advisor, Ross Burkhart, identified the University of Michigan as a good place to apply, and Josue was accepted as part of the Student Research Opportunity Program (SROP) at Michigan. Through the SROP program, he joined the Constituency-Level Elections Archive (CLEA) project as a research assistant in the Summer of 2012. CLEA is a repository of detailed election results from around the world which collects outcomes from lower house elections. CLEA provides opportunities for students to be involved at all stages of the data collection process, providing valuable experience and training for them. Working on research projects can be an excellent way for students to explore whether they would like to further their career in research and academia. Many of CLEA’s alumni have gone on to attend graduate school and obtained research-oriented jobs. As part of his responsibilities on the CLEA project, Josue was assigned to work on Latin American and a few European countries. Given his fluency in Spanish and natural inclination to learn about these countries, Josue grew a strong connection to the project. Among the countries he was assigned to work on, he was encouraged to choose one to study in more depth. Chile was the largest country in Latin America that was not yet represented in CLEA, and Josue decided that it would be valuable for CLEA to include it. As Josue studied the intricacies and results of elections in Chile, he became interested in a broader research agenda concerning political parties and democratization. Prior to the military dictatorship of Augusto Pinoche, Chile had held elections After the dictatorship was removed, Chile began to hold elections again. In his studies, Josue began to wonder how relationships between parties and an old regime (in Chile’s case, the dictatorship) influence the performance of the parties in elections during and following the transition to democracy. At the time, Josue was a senior at Boise State University. In his work on CLEA he identified what became a fundamental question for him: How do parties succeed in foundational elections? CLEA also helped him begin to answer this question. As a McNair Scholar, Josue published a short article based on his work with CLEA. In the paper, Josue lays out a spectrum of parties that exist in new democracies, in order to help understand why some parties are more successful than others. Focused on Latin America, Josue finds a relationship between party alignment in older regimes and success in new elections. Josue notes that political scientists and other researchers are always looking for reliable data like that provided by CLEA. By examining the electoral rules and election results from countries around the world, researchers can discover what electoral systems work better in certain regions and in certain time frames, investigate how political parties developed or declined, and seek to understand whether and why the democratic experience is working or not. This entry was posted in CLEA, Profile, Student Experiences on November 19, 2013 by David Howell.